MacMillan, 2017 – 145 pàg. The crucial sequel to the New York Times bestselling La historia secreta de Twin Peaks, this novel bridges the twenty-five year gap, and takes you deeper into the mysteries raised by the new series. The return of Twin Peaks is one of the most anticipated events in the history of television. The subject of endless speculation, shrouded in mystery, fans will come flocking to see Mark Frost and David Lynch‘s inimitable vision once again grace the screen. Featuring all the characters we know and love from the first series, as well as a list of high-powered actors in new roles, the show will be endlessly debated, discussed, and dissected. 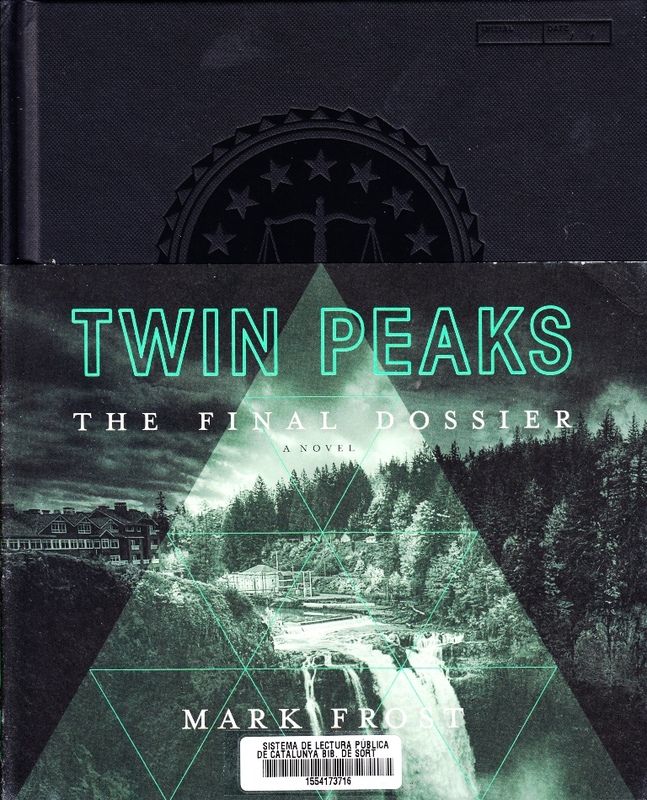 While La historia secreta de Twin Peaks served to expand the mysteries of the town and place the unexplained phenomena that unfolded there into a vastly layered, wide-ranging history, Twin Peaks: The Final Dossier tells us what happened to key characters in the twenty-five years in between the events of the second series and the third, offering details and insight fans will be clamoring for. The novel also adds context and commentary to the strange and cosmic happening of the new series. For fans around the world begging for more, Mark Frost‘s final take laid out in this novel will be required reading.